Dihydrofolate reductase (DHFR) has been a well-recognized target for the treatment of many diseases. 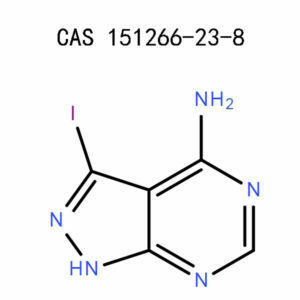 Based on 8,10-dideazaminopterins, which are classical antifolates that potently inhibit DHFR, it is designed a series of novel 2,4-diamino-6-substituted pyrido[3,2-d]pyrimidines. By removing the glutamate moiety and introducing lipophilic groups, it was hoped to improve passive diffuse through the cell membranes. The target compounds were efficiently synthesized using one-pot procedure and evaluated in vitro for DHFR inhibition and antitumor activity. Compounds 5e, 5h, 5i and 5k were the most potent inhibitors of recombinant human DHFR (rhDHFR) with IC50values in the range 0.2–1.0 μM. Analysis using flow cytometric indicated that the effect of compound 5k on cell cycle progression was linked to induction of S phase arrest. 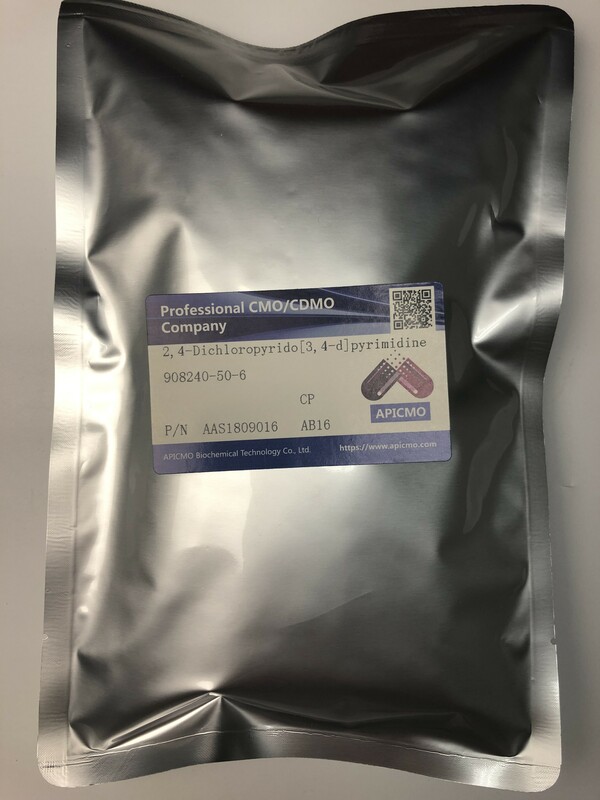 Compounds 5g, 5h, 5i and 5k showed broad spectrum antitumor activity against four different tumor cell lines, with IC50values in the range 0.07–23 μM. Molecular docking investigations showed that the trimethoyphenyl ring of compound 5k occupied a position near the cofactor-binding site in the rhDHFR-inhibitor complex, with close intermolecular contacts with Asp21, Phe31, Ser59, Ile60 and Pro61. Do not breath dust or vapor. Have safety shower and eye wash available. Store in a cool, dry, well-ventilated place. At APICMO, we have the expertise to manufacture various chemical compounds synthetically. 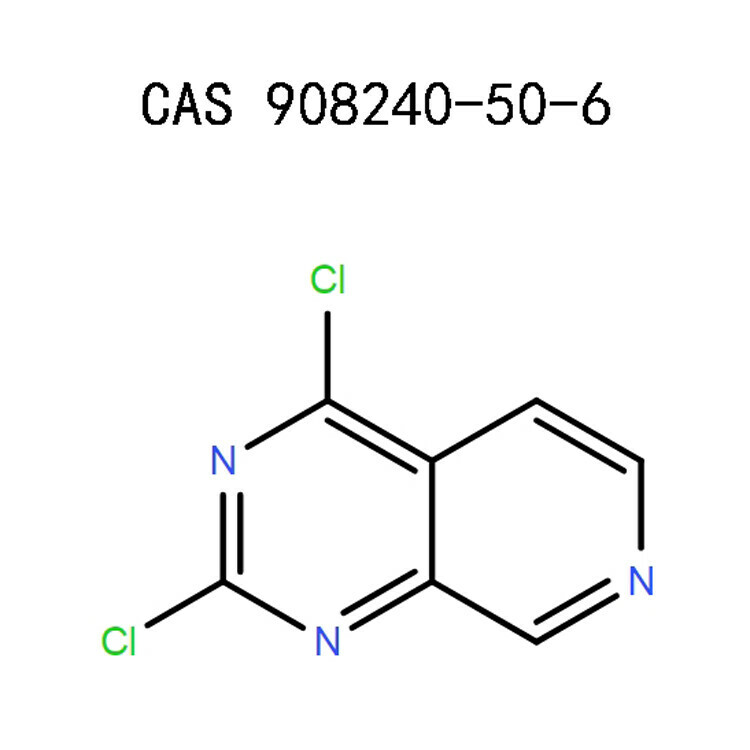 Among them is 2,4-Dichloropyrido[3,4-d]pyrimidine which is manufactured in large quantities. APICMO products satisfy the federal requirements and the CGMP procedures on manufacturing. 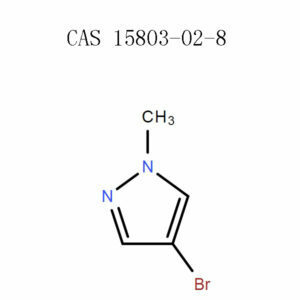 [caption id="attachment_736" align="alignnone" width="500"] 2,4-Dichloropyrido[3,4-d]pyrimidine (908240-50-6)[/caption]This chemical is in the category of heterocycles. You should not breath the dust/gas/mist/spray/vapour. Properly dispose of the container and the contents according to the local procedures. Ensure the container is tightly sealed. Avoiding the dangers of this product at all times is important. You should, therefore, ensure that you have the appropriate equipment to protect your body. Make sure that you are safe from breathing in the dangerous vapors, dust or fumes. These fumes may irritate your respiratory tract. Respirators with which filters are fitted are recommended to wear. The respirators should also satisfy the suitable standards approved by the government. Ensure that you do not expose any naked part of your body. Gloves are recommended to use. Always inspect the gloves before use. Properly remove the gloves and avoid touching the outer side. The gloves should then be disposed of per the law. Thoroughly clean and dry your hands. Use protective glasses. The glasses should have side-shields to protect your face. They must as well satisfy the regulated standards by the government. Emergencies may occur at any time while dealing with 2,4-Dichloropyrido[3,4-d]pyrimidine. The following are some of the possible emergencies and their corresponding first aid steps. The first aid should be done immediately as an emergency occurs to avoid further risks. You should as well consult a physician after the first aid. Clean the mouth with water. In case of unconsciousness, do not give by mouth anything to the victim. 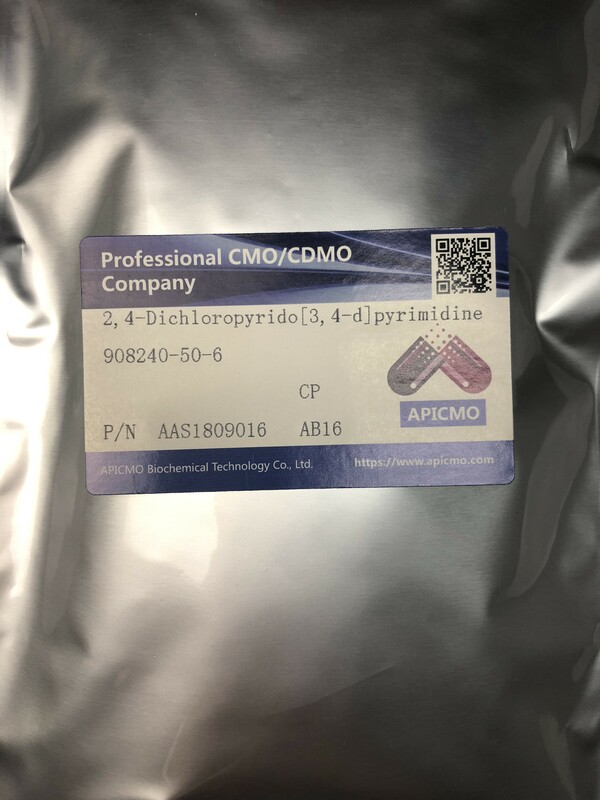 If fire breaks while dealing with 2,4-Dichloropyrido[3,4-d]pyrimidine or products synthesized from it, the following are the firefighting media that can be used. Breathing equipment should be put on while fighting the fire. The material should be dissolved in a combustible liquid and burn it. Chemical incinerator should be used to heat the solution. 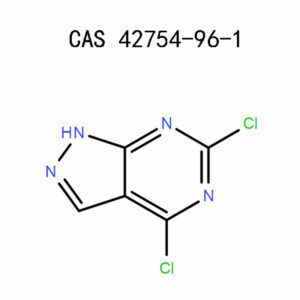 2,4-Dichloropyrido[3,4-d]pyrimidine meets the requirements needed by the chemical regulations. This document, therefore, contains reliable guiding information. We have a team of scientists that are experienced in all the research areas including material science, chromatography, life science, analytical, chemical synthesis among others. Do you need any large quantities for your research applications, manufacturing or development? Then, contact our friendly customer service team to place an order. Josef Houben, Ernst Schaumann, Karl H. Büchel, Hetarenes IV: six-membered and larger heterorings with maximum unsaturation.